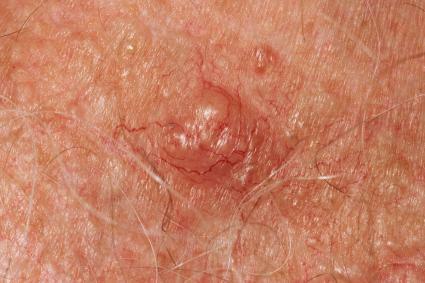 Millions of people a year are diagnosed with basal cell carcinoma. It is the most common type of skin cancer and if detected early, it is highly curable. Depending on your specific diagnosis, your doctor will discuss which of these treatment options are best for you. If surgery is recommended, you will undergo one of the following procedures. This is the removal of the surface of skin cancer by scraping it with a curette. An electric needle is then used to control bleeding and destroy cancer cells. This surgical procedure is typically used on superficial or smaller sized basal cell carcinomas. An oozing, crusty scab will form. It takes about four to six weeks to heal and will leave a flat, round, pale scar. The cancerous growth is cut out along with a surrounding margin of healthy skin. This is used most often to remove larger lesions. Occasionally, a skin graft (skin from another part of the body) may be needed to help close the wound. This will help with the healing process and lessen scarring. During this procedure, the doctor removes cancer cells layer by layer under a microscope until no abnormal cells remain. Not only are they ridding the skin of cancer cells but with this treatment they are also able to save the greatest amount of healthy tissue. Mohs surgery is more involved and time consuming compared with other treatments. It has a 99% cure rate and is especially effective on lesions found on the face, lesions with borders that are not well-defined, larger lesions or recurring basal cell carcinomas. This procedure will vaporize the cancerous lesion with a highly focused light beam. Its use is somewhat limited since it does not penetrate deeply and only kills cancer cells on the skin surface. Therefore, it is most effective on superficial lesions. The treated area may swell and itch. It will slough off after one week and heal in about three weeks. Scarring and infection is possible, but the risk is lower than conventional surgery. There are several options that don't involve surgery that you and your doctor can consider. This procedure will kill the cancer cells by freezing them with liquid nitrogen. More than one freezing may be needed. It is used in skin cancers that are thin and not very deep in the skin. Temporary redness and swelling can occur after treatment. The treated area will blister and scab over. It will take one to two months for the treated area to heal and may leave a pale scar. A cream or ointment is put directly on the skin and is used on basal cell carcinomas that are superficial. Depending on the doctor's prescribed dosage, the cream will be applied once or twice daily for six weeks or longer. Side effects can include redness, irritation and inflammation. This is a treatment that uses x-rays to destroy cancer cells. It is an ideal option for hard to manage cancers or for patients who are at high risk for surgical complications. 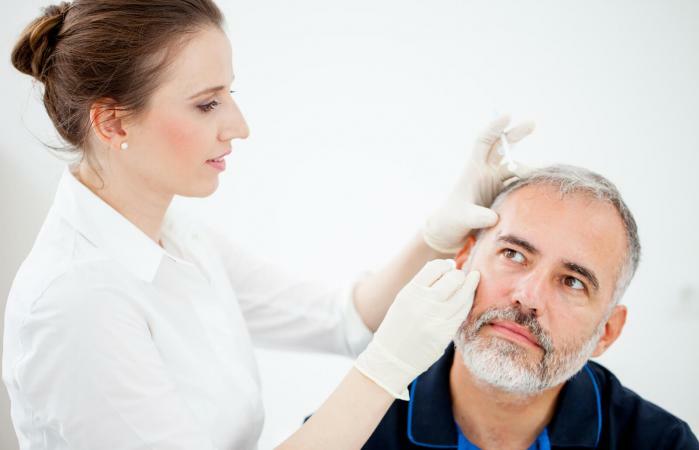 You may also need this treatment after one of the surgical procedures. You may need several treatments over a few weeks or daily treatments for a month. Rash, skin infection, itchy red skin and skin color changes are possible side effects from radiation therapy. This treatment is a two-step process. A topical acid is applied to the skin, and the area is then exposed to a special light which destroys cancer cells. This treatment is used for superficial or nodular basal cell carcinomas. The process can be painful because the skin becomes very sensitive. You may experience redness, pain and swelling but it will only last a few days. Once you've been diagnosed with basal cell carcinoma, you have to be very careful because even after successful treatment, it can come back. Also, having one type of skin cancer can increase your risk of developing a new type of skin cancer. Be diligent about your follow-up care and contact your doctor if you notice any skin changes.